Buying a leasehold property may not be as straightforward as you think - particularly when it comes to mortgage finance. We take a look at the hurdles you might face. When you buy a property, it’ll either be leasehold or freehold. With a freehold property you own the property and the land it’s built on. With a leasehold property you’ll only own that property for a certain amount of time. Leases can be very long – 900 years plus – but most are around 90 – 120 years. Which lenders are more leasehold-friendly? Each lender will have its own criteria for leasehold properties and the most important stipulation will be the length of the lease. The Council of Mortgage Lenders – the industry’s trade body – has compiled a handy list of lender requirements here but to give you some examples Accord Mortgages will ask that the lease be 85 years long, from the date of mortgage completion, Bank of Scotland require a minimum of 70 years and Fleet Mortgages asks for 75 years. Lenders which are a little more generous when it comes to leasehold properties include Royal Bank of Scotland (which require 30 years to be remaining at the end of the mortgage term), Barclays (mortgage term plus 25 years) and Clydesdale Bank (50 years or mortgage term plus 25 years, whichever is the greater). Will my mortgage be more expensive? Mortgage rates on leasehold properties can be higher, depending on the length of the lease but where you will almost certainly see a difference is in the loan to value (LTV) available. The LTV is the ratio of how much you borrow against the cost of the property. For a £200,000 property, for example, if you have a deposit of £40,000 you’ll need to borrow £160,000, or 80% of the property value. Lenders tend to offer lower LTVs on leasehold properties. Will I pay higher costs? You’re likely to pay higher conveyancing costs as there is more legal work involved with the sale. Costs could be between £125 and £200 higher. Don’t forget you’ll also be paying a ground rent and, depending on the property, service charges. Yes, but depending on how long you have left on the lease it could be costly. The shorter the lease, the higher the extension cost – so you could be looking at anything from a couple of thousand to upwards of £15,000. You can get an idea of how much you’ll pay using our leasehold extension calculator. If the lease is under 80 years you’ll also have to pay 50% of the marriage value of the property. 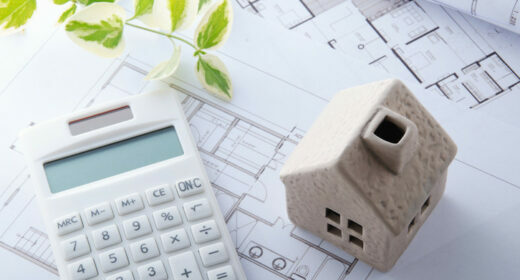 The marriage value is the amount of extra value which will be added to the property as a result of extending the lease. If you do buy a leasehold property the sensible option would be to look into extending the lease as early as possible. Once you own the property you can request to extend the lease at any time – but you are only entitled to extend it under the statutory route after having owned it for two years. The freeholder is under no obligation to extend your lease before this point. To cut out the two year wait you should look into starting the leasehold extension process at the point of sale. In other words, the seller can issue the relevant statutory notice stating they want to extend the lease. The benefit of this notice can be transferred to you once the sale completes. You will need to have your a conveyancer’s advice here as well as a leasehold valuation surveyor’s advice as they’ll be able to help you determine an appropriate offer. You can, but it may be difficult. The freehold is usually held by a developer or estate management company but in some cases it is sold on to a third party – often an investment company – who will hike the price of it in order to make a quick profit. Homeowners are often in the dark about this until they attempt to buy the freehold. You can find out who owns the freehold of your property by searching the title register at the land registry. Is a leasehold a good idea? If you’ve found the perfect home, then the fact it is leasehold shouldn’t stop you. But make sure you are entering into the purchase with your eyes open: estimate how much it costs to extend, be aware of the service charges and planned works to communal areas, for example. But most importantly, check with the estate agent and vendor up front how long the lease is as this will impact on what mortgage you can get. It may be a comparable property that is freehold is much simpler to buy and less expensive overall.